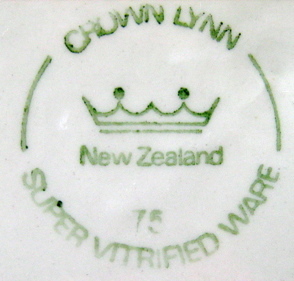 What do the numbers on Vitrified and Supervitried ware represent? Answer - The Year made! 2. They are the shape number ...? This has been disproved. 4. 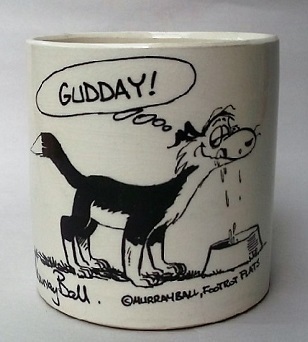 The clay type used maybe ....? 5. The firing requirements ....? There were heaps of numbers used and this is the place to try and get this one sorted! There are many examples of these numbers already on the site and when I get a chance I will add them to this topic. 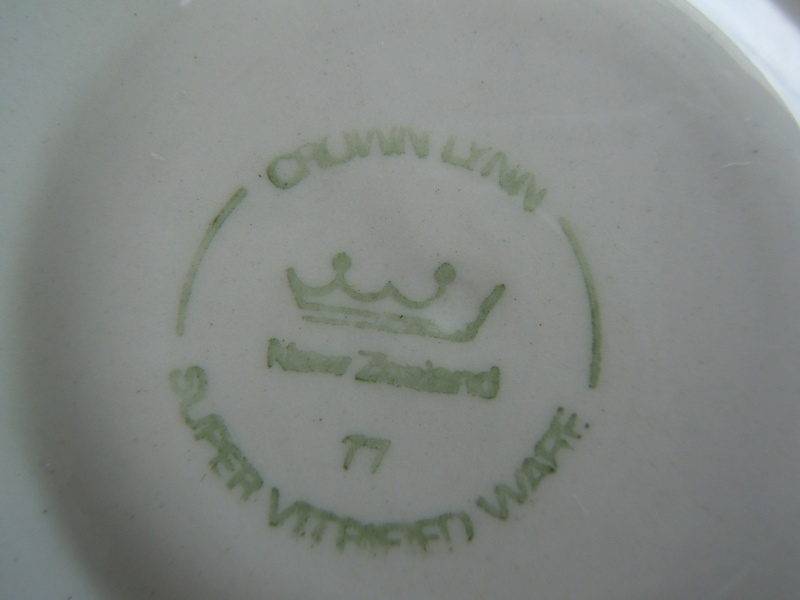 Busy today, playing in Santa Parade but maybe this evening I will post details of the items I have in my collection about a dozen I think with a pic of each backstamp and a brief description of the item. 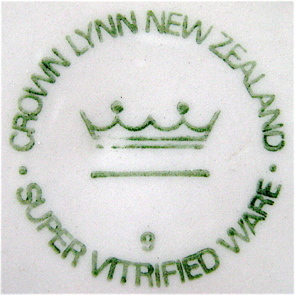 Re: What do the numbers on Vitrified and Supervitried ware represent? Answer - The Year made! 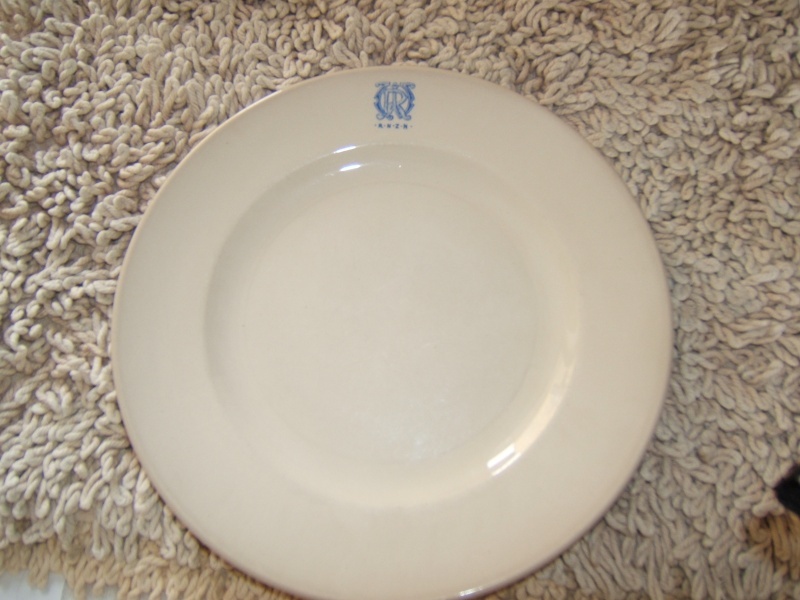 An Ascot bread and butter plate that has the number 9 on it. 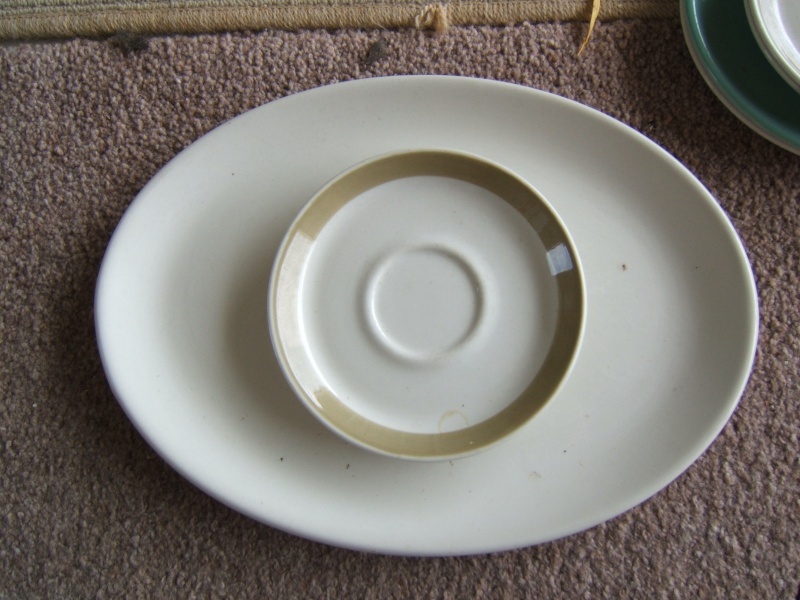 A Tango ashtray that has the number 6 on it. but what do you think it stands for? I must admit at this point I haven't got a clue!!! OK been reading Val Monk and interesting that you should send through the two Gibson & Paterson examples. I have the same two numbers but on different shapes. So.! Maybe we need to think of each set of numbers being specific to that client. ie Govt. Stores Board,or Gib Pat, so that all the buyers and sales people had to discuss as far as shape was concerned was a simple number with details of any other decoration required being added . Here the ones that I can find at the moment except a 6 which is in my collection & is a side dish but eludes me, the little devil . Marl I just merged your comments into the main thread so that they wouldn't get overlooked. 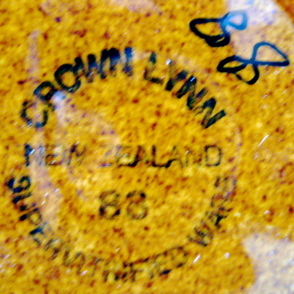 Jonno's RNZAF plate has the number 87 on it and as it has the King George crown it should have been made pre 1953 ....? Jonno's theory sounds feasible too .... more checking and research to do now! That is a puzzle, still working on proof of my theory. Not much else done around here today! I will join this thread when i get the chance as i have a truck load of sup/vit ware. 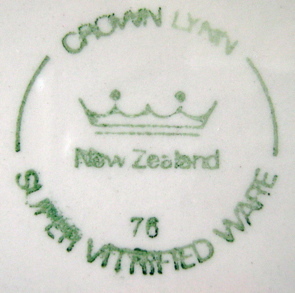 .... the Decoration Advices from the Museum has the words vitrified and supervitrified included in the early notes. So I will go through them tomorrow to see if there are any clues there! 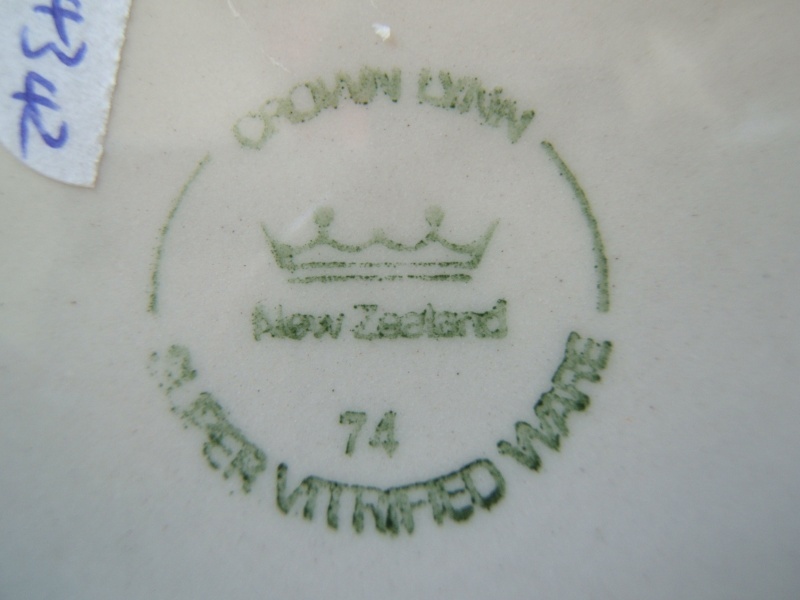 Ok so there are heaps of entries with the word vitrifed or VIT ... no entries using super vitrified ! Thanks for those references from your Museum notes. 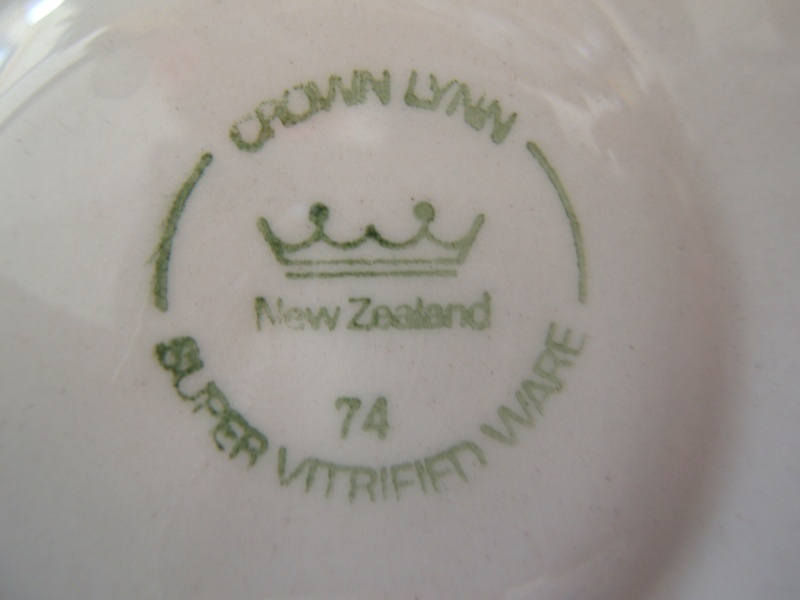 I have just searched Val Monk and find it interesting that the only reference to Super Vitrified seems to be the back stamp on page 156 which is different to the RNZAF bs. Not shown in the index and not mentioned in the copy on some 16 pages, just Vitrified. 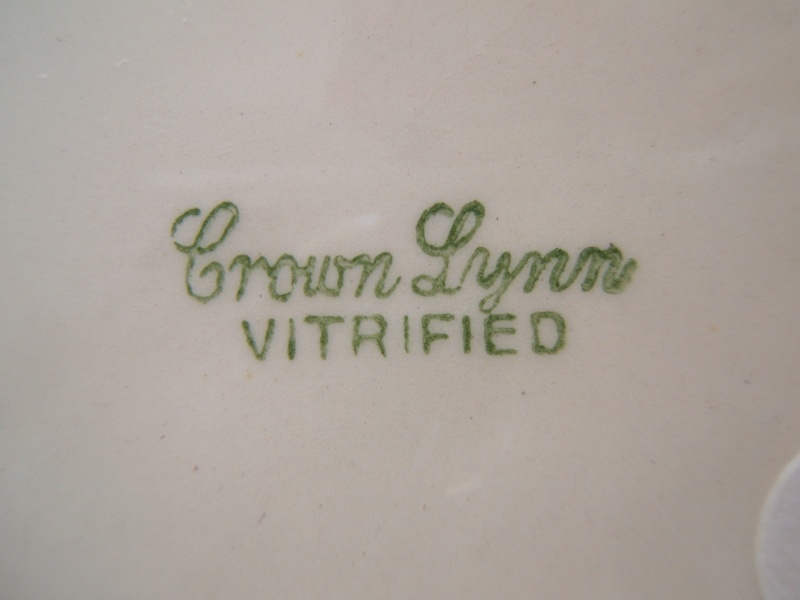 Maybe it was a Crown Lynn promotional idea to label pieces Super Vitrified? after all once the right temp. 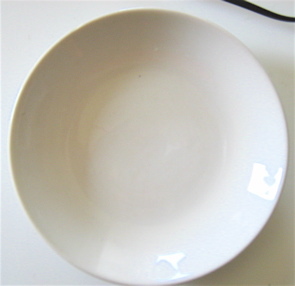 is reached the body vitrifies that is it becomes glasslike and has no voids, specially selected bodies when vitrified are called porcelain as I understand it. 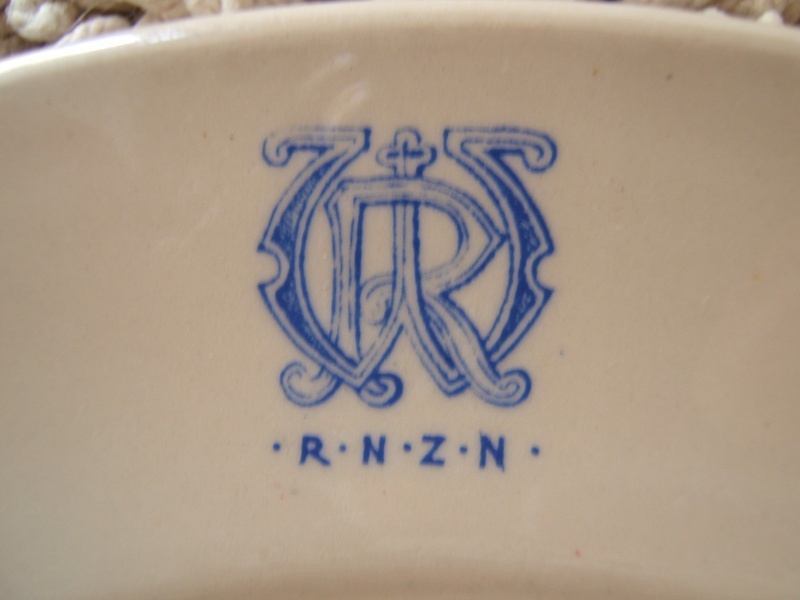 The specials department knew all about making industrial porcelain and had done from way back. Still waiting for more info from RNZAF Museum and Te Papa Museum. 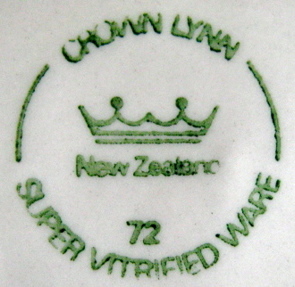 Just to recap what we have discovered so far and this would be the numbers on the vitrified and super vitrified wares. I will list them and add to them when more turn up. What is interesting is the fact that there are very low numbers and then a huge gap to very high numbers.....? Thank you Marl for all of those numbers!! If anyone has anymore please note them in this thread. re What do the Numbers on V & SV mean? so that would mean that 87 & 88 would have been just before they closed? Yes but they could well have been producing up until just before closure. so what about the low numbers being 196- and the high 19-- ? 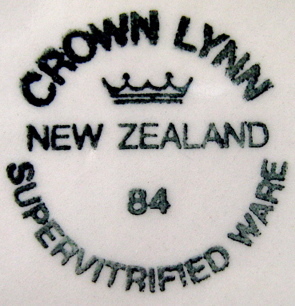 and manufacturing continued into 1989 with glost grading carrying on until almost the very end - the glost drading work rosters from the last fortnight are in a post somewhere here. Ok I have an idea to try to prove that the numbers are the year of manufacture. 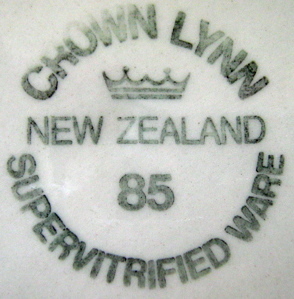 In the Summer issue of the 1978 Ceramics Crown Lynn magazine there is a photo and an article about the wares that will soon become the standard hospital range. This is the pattern ..
Marl has added three pieces from this range with the numbers 79, 86, and 87.
mrnarna has a mountain of this range so I hope he will check his numbers too, as so far it fits the time frame. 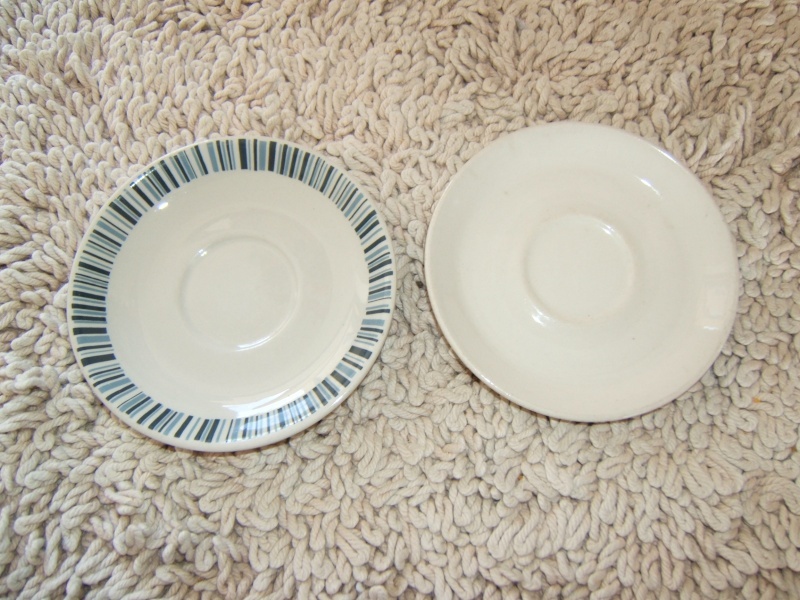 I will use mrgoogle to see what I can find, as I only have one cup in this pattern.